Leanna Bradley, Cathy Jambrosic, Walter Rothenburger et al. 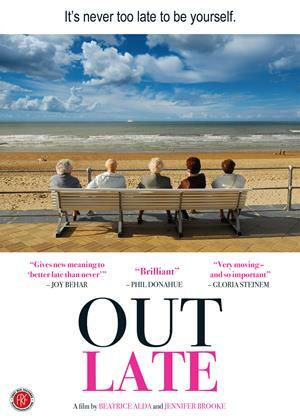 "Out Late" is an inspirational and moving documentary about five individuals who made the courageous and life-altering decision to come out as lesbian, gay, or transgender, after the age of 55. Why did they wait until their 50’s, 60’s, or 70’s to come out? And what was the turning point that caused each of them to openly declare their sexuality? From Canada to Florida to Kansas, we explore what ultimately led these dynamic individuals to make the liberating choice to live openly and honestly amongst their family, friends and community, perhaps for the first time in their lives. Their stories are “nothing less than extraordinary”.